Once A Littering Spot, Bengaluru’s Jakkur Lake Restores Its Beauty Again. About 200 years ago, the Jakkur lake was constructed to meet the water needs of the people, little did the then authorities know that the lake would cease to serve its principle purpose as a water provider. As the years passed by, the area around the lake became more concretised and the flora-fauna of the region started to disappear. People’s bad habit of dumping waste directly into the lake even led to the disappearance of exotic species of birds. To reverse the degrading condition of jakkur lake, a determined group of citizens started a movement in 2014, put their foot down in 2014, took the authorities in-charge into confidence and started a plantation drive. Calling themselves as Jalaposhaks (protector of water), individuals from all walks of life including teachers, environment experts, students, working professionals and senior citizens came together and founded ‘Jalaposhan’ organisation. The main aim of the organisation was to clean and beautify the area around the lake as the rejuvenation of water was already taken care of by the Bengaluru Development Authority (BDA), the Lake Development Authority (LDA) and the major infrastructure at the lake is being done by Bruhat Bangalore Mahanagara Palike(BBMP). In 2008 BDA rejuvenated Jakkur lake but problems like waste dumping, open defecation, washing of clothes polluting the waterbody came up. Thus, was born Jalaposhan. 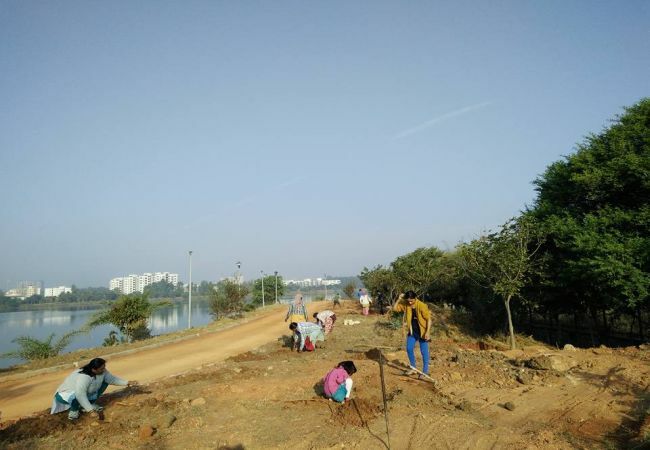 We initially started with informal cleaning drives every Sunday and then realising that just cleaning would not help we formed the trust and adopted the lake from BBMP by signing an MoU to maintain the lake and plant trees. The aim was to make citizens responsible for its conservation, Dr Annapurna Kamath, one of the founding members tells NDTV. In its first year in 2014, the organisation carried out a month-long Van Mahotsav with active participation from citizens, educational institutes and corporates and were able to plant more than 1000 trees. From people planting trees on special occasions like birthdays, in memory of their loved ones, schools participating in the drives to the usual weekly drives, the tree plantation have become a regular activity and takes place round the year. So far, the citizens have planted more than 300 varieties of medicinal and aromatic herbs and shrubs along the lake. Among their significant plantations, Dr Kamath points out the herbal hedging along a community zone that acts a natural fence around the lake. As a policy, the trust plants only native trees and plants like Palash Buruga, neem, kumkum, bottle brush, banyan and peepul. We have flowering trees, nectar and host of trees for butterflies and insects. We have lot of Pongamia trees that bring down the temperature. There are also varieties of grass that grow at the lake which are being conserved. Currently we are focusing on red listed and endangered trees, shrubs and herbs. We are also working on undergrowth’s that will grow under the existing trees. Wetland plants and trees also get planted in the wetland area, says Dr Kamath. As for the funds to purchase the plant saplings, many corporates and environment-conscious citizens have come forward to contribute. When people express their desire to financially contribute, the trust makes sure that they educate them about conserving the plants as well. When people come forward to plant, we make them realise that planting is more than the plant and plantation. It is the aftercare that is important. We also collect funds to maintain the plants. Lake water is used to water these plants. BBMP has provided overhead tanks and irrigation lines for the same. Manure comes from nearby apartments who convert their wet waste into compost on a regular basis, she says. 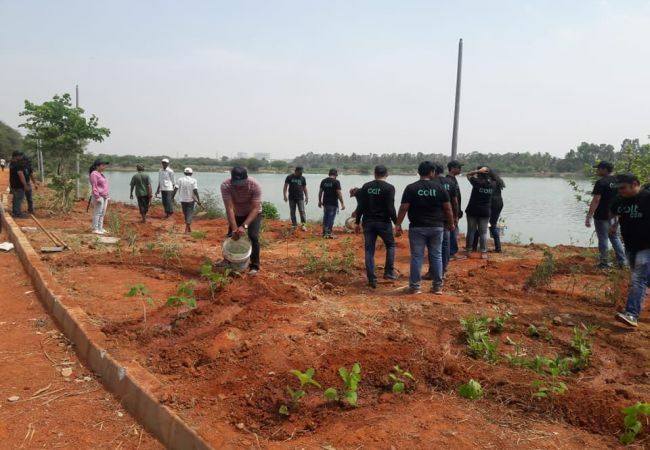 To preserve the trees, the trusts organises Shramdan drives every Saturday where volunteers participate and help in de-weeding, pruning and watering the plants at the lake. A women’s self-help group called ‘Jala Sevika’ has been roped in to monitor the maintenance activities of the lake. It does not happen often when endangered species travel back into the same concrete jungle which they had left due to lack of clean environment. The Jalaposhaks have managed to achieve this rare feat. The butterfly garden has witnessed an increased influx of winged visitors. 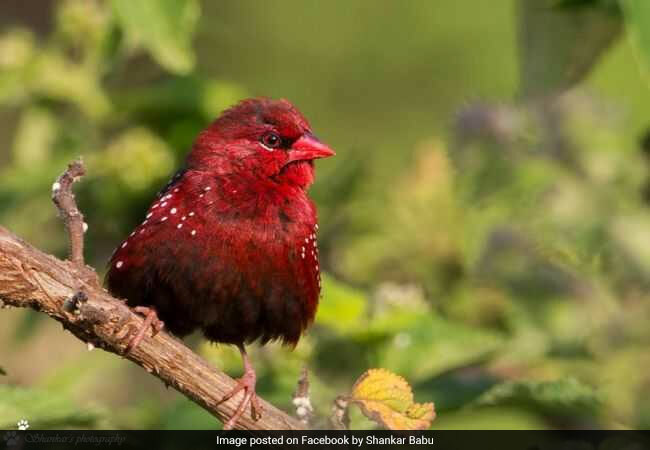 Exotic birds like pelican, red avadavat are back and Jakkur has 197 species of birds spotted. The lake is considered to be among top six for bird biodiversity in Bengaluru. We believe that to conserve a lake people need to connect with the lake. We have been able to bring awareness among citizens about their fundamental duty towards protection and preservation of natural resources. Jakkur lake is a classic example of collaborative efforts of the civic agencies, citizens, corporates, educational Institutions and the locals, says Dr Kamath. Today the community has access to a green space with clean air, medicinal and aromatic plants. It has a well-demarcated community zone for leisurely activities and conservation zone for the lake dwellers. Previous Post: Ujjain Makes World Record: 7 star Formation by 5000 Citizens. Next Post: DIY Seed Bombs: A Way To Increase Green Cover.